Rallyarmor premium UR ("you are") mud flaps are fabricated from durable, flexible urethane which is ideal for variable weather and road conditions. 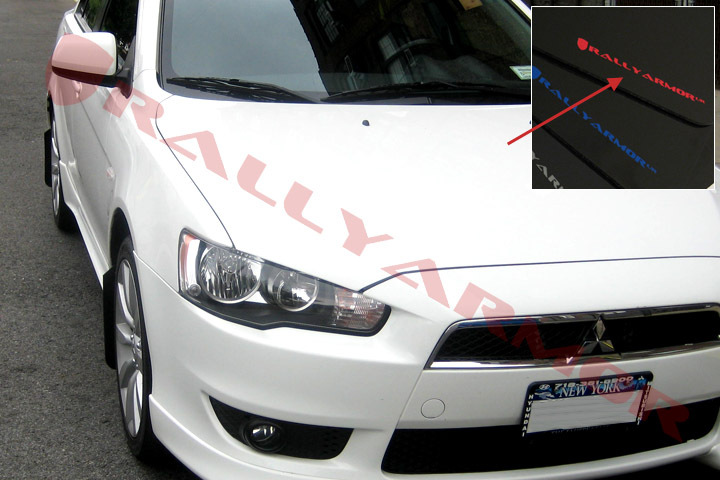 2007-17 Mitsubishi Lancer owners can take advantage of the protective and highly impact resistant urethane rally mud flaps that rally cars have used for years. 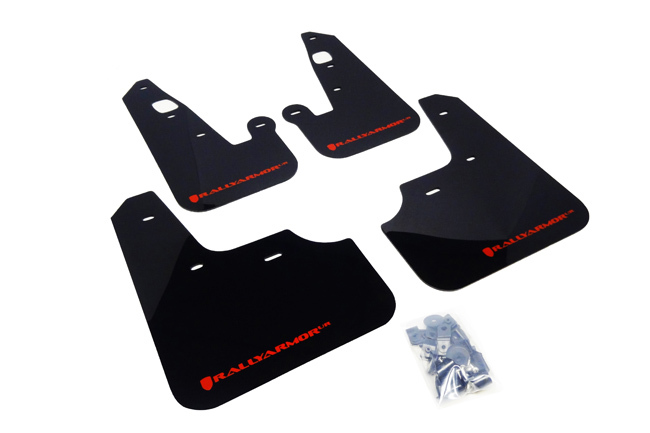 Rallyarmor 4 mud flap set (includes 4 flaps for all 4 corners of the vehicle) black UR mud flaps feature a blue Rallyarmor logo and includes a complete set of mounting hardware and instructions.